Data that’s contained in a matrix that has a representation of colors that’s used to visualized complex data for analysis, comparison or trending purposes. To generate a heat map, expand the table grid located at the bottom of the map. Click on the flame icon to expose the list of available heat options. 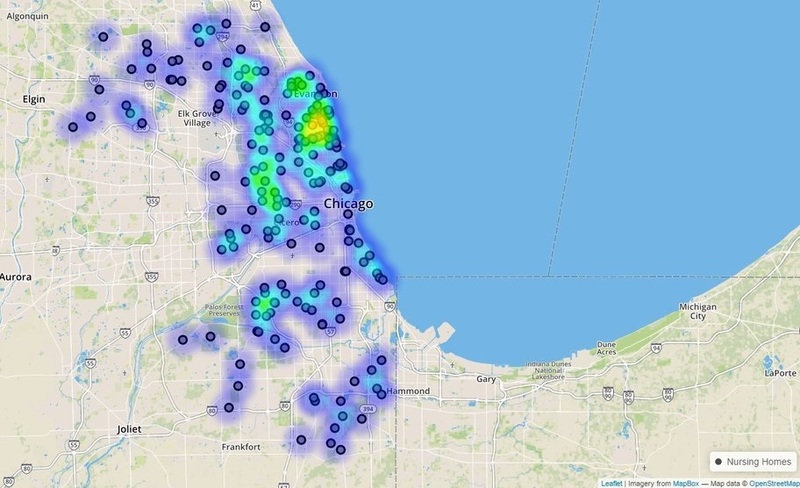 Choose an option from the list, heatmap begins to generate layering itself over the data on the map. To remove a heatmap from the grid select the option "None" from the droplist or as an alternative click on the "Layer" icon on the map; in the "Generated Layers" section deselect the heatmap functionality, this will remove the heatmap from the grid.